As I’ve explained in earlier posts, courts are finding it necessary to address claims of juror misconduct based on jurors using various social networking systems during the trial, and sometimes even during the deliberations. In other posts, I’ve explained what juror misconduct is and why it’s a problem. If you’d like to read more about that, you can check out this chapter on juror misconduct from a publication from the University of North Carolina’s School of Government. This post examines an allegation of juror misconduct that “former Pennsylvania State Senator Vincent J. Fumo” raised in appealing his conviction on “on 137 counts of fraud, tax evasion, and obstruction of justice.” U.S. v. Fumo, 2011 WL 3672774 (U.S. Court of Appeals for the 3d Circuit 2011). I’m not going to describe the facts that led to his being charged with, and convicted of, these crimes, but this Wikipedia entry tells you about Fumo and about how the convictions came about. March 15, 2009, while jury deliberations were ongoing, a local television station reported that one of the jurors, hereinafter referred to as `Juror 1,’ had made postings on both his Facebook and Twitter pages related to the trial. That night, which was the night before the jury returned its verdict, Juror 1 was watching television when he learned that the media was following the comments he had made on the internet. He subsequently panicked and deleted the comments from his Facebook page. The opinion notes that “[a] friend responded to the March 4 Facebook post by asking `of what?’” and Juror 1 “responded: `Can't say till tomorrow! LOL.’ U.S. v. Fumo, supra. And that friend or another responded to the March 8 Facebook post “by asking `Why?’” and Juror 1 “responded: `think of the last 5 months dear.’” U.S. v. Fumo, supra. 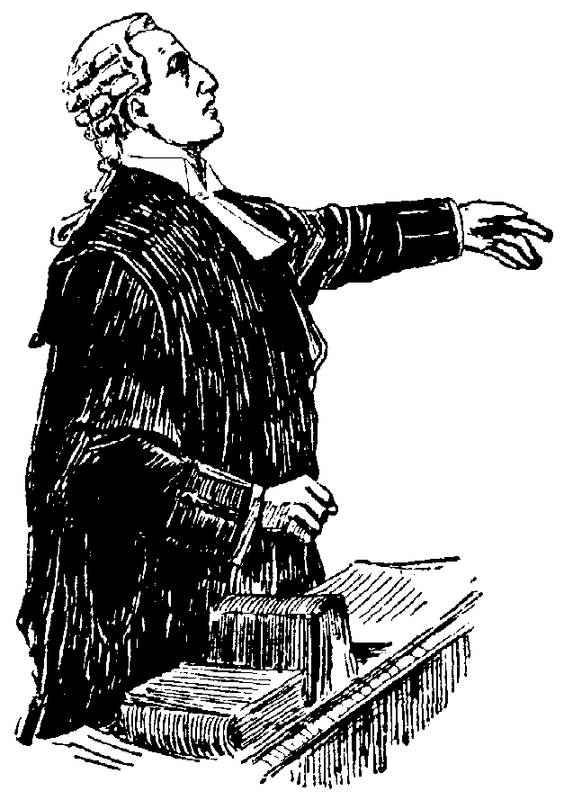 The district court judge subsequently an written opinion in which he found that “there was no evidence Juror 1 received outside influence due to his Facebook or Twitter postings” and concluded that although they violated “his instruction not to discuss the case outside of the jury room, they were `nothing more than harmless ramblings having no prejudicial effect. They were so vague as to be virtually meaningless.’ U.S. v. Fumo, supra. Ralph Cipriano, writing for Philadelphia Magazine, had contacted [Fumo’s lawyer] regarding information he obtained during post-verdict interviews with several jurors. According to an article written by Cipriano, on the morning of March 16, the day of the verdict, all of the jurors had heard media reports about Juror 1's use of Facebook and Twitter. U.S. v. Fumo, supra. Fumo used this information, plus other information also available to him, to move for a new trial. U.S. v. Fumo, supra. The judge denied the motion because he found that the new information “was an insufficient basis to hold a hearing” into the matter. U.S. v. Fumo, supra. Fumo, as I noted earlier, then raises the issue on appeal, after being sentenced. public attention to the jury's deliberations, creating a `cloud of intense and widespread media coverage . 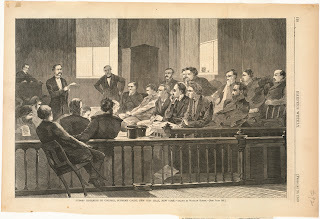 . . and [the] public expectation that a verdict [wa]s imminent[,]’ thereby violating his Sixth Amendment right to a fair and impartial trial. . . . Fumo also argues that the fact that Juror 1 watched the evening news, in which his own internet comments were discussed, implies or suggests that he may have been compromised by bias or partiality. about a case on the internet or social media may engender responses that include extraneous information about the case, or attempts to exercise persuasion and influence. If anything, the risk of such prejudicial communication may be greater when a juror comments on a blog or social media website than when she has a discussion about the case in person, given that the universe of individuals who are able to see and respond to a comment on Facebook or a blog is significantly larger. It also explained, though, that while the “recommended practice” is to prohibit and admonish jurors about using social networking, “it does not follow that every failure of a juror to abide by that prohibition will result in a new trial.” U.S. v. Fumo, supra. The court explained that here, “as with other claims of juror partiality and exposure to extraneous information, courts must look to determine if the defendant was substantially prejudiced.” U.S. v. Fumo, supra. [N]one of Fumo's theories of bias or partiality is plausible, let alone sufficient for us to find that the District Court abused its discretion in denying his motion for a new trial. The District Court questioned Juror 1 in camera at length about . . . his comments online. . . . The Court found no evidence that Juror 1 had been contacted regarding the posts. . . .
simply no plausible theory for how Fumo suffered any prejudice, let alone substantial prejudice, from Juror 1's Facebook and Twitter comments. Nor does Fumo provide a plausible theory for how the fact that other jurors may have learned of Juror 1's `vague’ and `virtually meaningless’ comments on Facebook could have led to substantial prejudice against him. Accordingly, the District Court did not abuse its discretion when it denied Fumo's motion for a new trial on this basis. So Fumo lost on this issue, and on the other arguments he raised on appeal. U.S. v. Fumo, supra. The court therefore upheld his conviction. U.S. v. Fumo, supra. Babilonia forwarded Meerzon an internet chat with Nobrega in which [he] allegedly made similar statements. The same afternoon, Meerzon reported to the Bangor Police Department that Nobrega had been acting oddly for the previous four days, had been paranoid, and had accused her of being a DEA agent, a CIA agent and a police officer. [She] explained that in March 2010 she had purchased for herself an A3 M–4 5.56 caliber rifle and a Glock Model 22 .40 caliber pistol, that Nobrega had possessed both of the firearms, and that the[y] were kept at their residence. The Government asserts that Meerzon also purchased a third firearm, a Glock Model 17, 9mm pistol, and that the purchase date of all three firearms was not March but May 5, 2010. After speaking with Meerzon, the Bangor Police obtained a warrant to search the Meerzon–Nobrega residence and, after arriving at the location, over the course of four hours, attempted by telephone and electronic message to convince Nobrega to leave the residence. The Government says that during the standoff with police, a police sniper observed through his rifle scope Nobrega sitting at a kitchen table with a pistol in his hand. 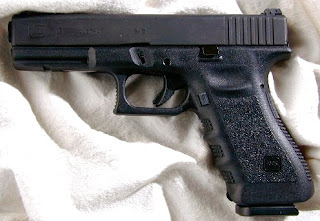 When the police eventually secured access to the residence, they executed the search warrant and recovered, among other items, the Glock Model 17 pistol that is the subject of the indictment. . . .
exclude a document containing a series of electronic messages allegedly between Mr. Nobrega and Eric Babilonia. He argues that the document cannot be properly authenticated either as an actual electronic conversation or as having originated from him. Nobrega further argues that the document constitutes inadmissible hearsay [and] is not the best evidence. . . .
expects Eric Babilonia to testify that `he engaged in the chat session with Defendant on October 23, 2010; that he knew it was Defendant for several reasons,’ that the e-mail accurately and completely reflects that chat, and that he `forwarded the chat session by e-mail to Meerzon without alteration” when the conversation was complete. 5) Babilonia's calling Meerzon after the chat to warn her not to return home to Nobrega. [i]t will meet the . . . standard of authentication. Babilonia's testimony that the document is an accurate reflection of a chat session will mitigate Nobrega's concern that the `document may have been fabricated to appear to be an IM session log.’ The plain language of Rule 901 provides that testimony that a matter is what it is claimed to be is sufficient to authenticate a document. That is precisely the nature of Babilonia's expected testimony. Regarding authorship, the inability to know for certain whether Nobrega was on the other end of the conversation with Mr. Babilonia does not preclude its admissibility. . . . In determining whether a document has been adequately authenticated, the Court can consider `appearance, contents, substance, internal patterns, or other distinctive characteristics, taken in conjunction with circumstances. . . . The distinct characteristics apparent in the document as well as Babilonia's ability to link them to Nobrega, raise a strong inference that Nobrega transmitted the messages to Babilonia. Not only does the transmitting party's username, `DJLeatherneck Nobrega,’ use Nobrega's last name, Babilonia is expected to testify that the transmitting party listed Nobrega's phone number and made other references that contributed to his understanding that he was speaking with Nobrega. Again, the standard is reasonability. Comparing Babilonia's expected testimony with the document at issue, the inference that Nobrega was responsible for the transmissions is more reasonable than the inference that the transmissions were an elaborate hoax orchestrated by someone with intimate knowledge of Nobrega's personal life. U.S. v. Nobrega, supra (quoting U.S. v. Garcia, 452 F.3d 36 (1st Cir. 2006)). Nobrega also moved to exclude the document as inadmissible hearsay. As I’ve noted in earlier posts, hearsay is an out of court statement (i.e., a statement made by someone while they testify at trial) that is offered to prove the truth of the matter asserted. As I’ve noted in those posts, every U.S. state and the federal system has an evidentiary rule that bars the use of hearsay unless it falls within an exception to the rule barring its use. party admission . . . is any statement made by a declarant who is a party to a lawsuit, is offered as evidence against that party. Under the Federal Rules of Evidence, such a statement is admissible to prove the truth of the statement itself, meaning that the statement itself is not considered hearsay at all. The judge in this case noted that the document was admissible under this principle, if it’s authenticated, because “[o]nce a document is authenticated as authored by a defendant, even if authorship is not entirely certain, it may be admitted as an admission by a party opponent.” U.S. v. Nobrega, supra. Finally, Nobrega argued that the admission of the chat document was barred by the best evidence rule. 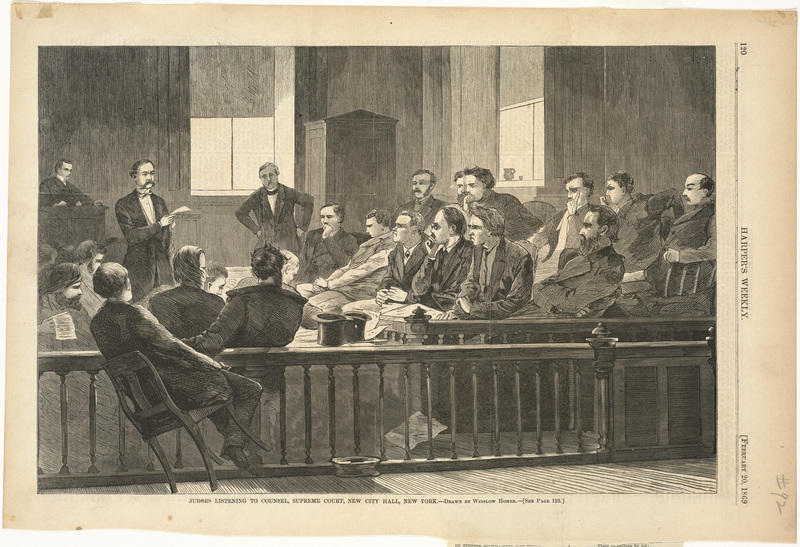 As I’ve noted in earlier posts, the rule dates back to at least the 18th century and was intended to ensure that evidence wasn’t admissible unless it was “the best that the nature of the case will allow.” The rule basically requires that the original of documentary evidence be introduced, if possible. Rule 1003 [of the Federal Rules of Evidence] provides that `[a] duplicate is admissible to the same extent as an original unless (1) a genuine question is raised as to the authenticity of the original or (2) in the circumstances it would be unfair to admit the duplicate in lieu of the original. . . .
Nobrega's only challenge to admission of the printout of the chat is the `the concern regarding whether the IM chat session forwarded by Babilonia through Meerzon is an actual chat session.’ Nobrega’s best evidence objection essentially reiterates his authentication arguments. Having concluded that there appears to be sufficient evidence for the jury to reasonably conclude that Nobrega authored the chat, the Court concludes that a printout of the chat is admissible as a duplicate. The judge therefore denied Nobrega’s motion in limine. U.S. v. Nobrega, supra. This post deals with what I think is one of the more unusual cases I’ve dealt with in this blog. one count of conspiracy to bring marijuana into a prison, in violation of [California Penal Code] 4573; of one count of conspiracy to communicate with a prisoner, in violation of [California Penal Code] section 4570; and of one count of bringing marijuana into a prison, in violation of [California Penal Code] section 4573. Every person who, without the permission of the warden or other officer in charge of any State prison . . . communicates with any prisoner or person detained therein, or brings therein or takes therefrom any letter, writing, literature, or reading matter to or from any prisoner or person confined therein, is guilty of a misdemeanor. At approximately 4:45 or 5:00 a.m. on March 1, 2010, Cesar Ochoa, a corrections officer at California Rehabilitation Center (CRC), a state prison in Norco, saw a car stop on the road adjacent to the prison's perimeter fence. Ochoa saw someone get out of the car and throw two packages over the fence. The person got back into the car and the car left. The two packages landed near dormitories 205 and 206. Officer Eduardo Gonzalez retrieved the items which were thrown over the fence. The items were leather footballs wrapped in black tape. The footballs contained marijuana, cell phones and tobacco. The following day, at 3:00 a.m., Ochoa again saw a car parked near the prison perimeter fence. Looking through binoculars, Ochoa saw someone throw what appeared to be a large green package over the fence. The package landed near dormitories 205 and 206. Ochoa called Sergeant Lugo . . . on the intercom and alerted him. Lugo pursued the vehicle and called the Riverside County Sheriff's Department for backup. He stopped the vehicle because the driver was swerving and driving erratically. The driver was Gayle Varela Washington, who was married to Antonio Washington, an inmate at CRC who was housed in dormitory 205. The passenger in the car was [Spencer]. On the dusty hood of the car was a diagram showing the area between dormitories 204 and 205, as well as the roadway adjacent to the prison. Inside the car, there was a strong odor of fresh (i.e., not burnt) marijuana. Gonzalez retrieved two footballs wrapped in green tape from the yard near dormitories 205 and 206. He delivered them to Sheriff's Deputy Howell. The footballs had a distinct odor of marijuana emanating from them. Howell cut the footballs open and found that they contained cell phones and accessories such as earphones and chargers, as well as rolling papers, tobacco and 25.31 grams of marijuana. No marijuana was found inside the passenger compartment of the car. There was some marijuana in Washington's purse, which was in the trunk. Washington's purse also contained a yellow notepad with instructions as to where and how to do the drop off and with inmate Washington's housing address. Marijuana, cell phones and tobacco are all prohibited inside a prison. All three items sell for a much higher price inside a prison than they do on the outside. Victor Serrano, . . . had recently been released from custody. Serrano told [Spencer] he was in trouble, that if some items were not delivered to the prison, he would be harmed. He asked [Spencer] to toss some packages over the prison wall. He told [him] the packages would contain cell phones and tobacco. He asked [Spencer] to meet an unidentified female in Escondido and go to the prison. [Spencer] admitted he had thrown the packages over the prison fence. [He] denied having prepared the packages; he said they were already prepared when Washington picked him up. He denied knowing that they contained anything but cell phones and cigarettes. An investigator for the defense testified that Victor Serrano . . . told him he went with Washington on the first occasion and attempted to throw the footballs into the prison. He was unable to throw them far enough. . . He said he was told the footballs contained cell phones and tobacco. . . Serrano said the following day, he was asked to make another attempt. He went to [Spencer’s] home to ask for help. He spoke to [Spencer] and [his] brother Marvin Spencer. Marvin Spencer refused to become involved, but [Spencer] agreed. 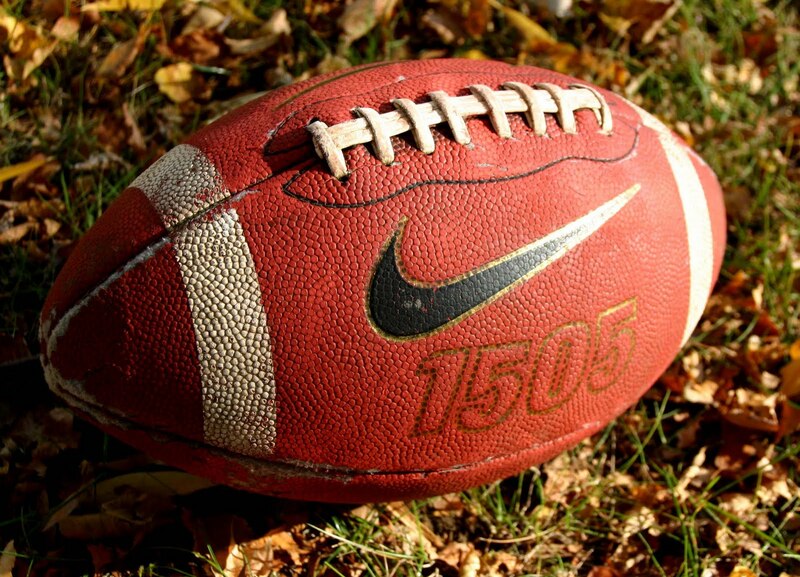 Serrano told [him] the footballs would contain cell phones and tobacco. prohibits only actual unauthorized communication with a prisoner and that providing a means of facilitating possible communication is not a violation of section 4570. He asserts that because “throwing cell phones into a prison yard is not ‘communication’ with a prisoner,” his conviction for conspiracy to violate section 4570 is not supported by substantial evidence as a matter of law. which we decide independently. . . . In construing a statute, our purpose is to determine the intent of the Legislature and effectuate the purpose of the law. To do so, we look first to the words of the statute because they are the most reliable indicator of legislative intent. . . . We construe the words in context, keeping in mind the nature and the purpose of the statute. . . . If the language is unambiguous, we do not resort to any extrinsic source to determine the Legislature's intent. is unambiguous; it prohibits unauthorized `communicat[ion] with any prisoner’ or bringing to or taking from any prisoner `any letter, writing, literature, or reading matter.’ It does not prohibit providing a means by which communication with an inmate can be achieved; as [Spencer] points out, it does not prohibit providing pens or paper but prohibits only actual communications. Accordingly, unless the cell phones concealed in the footballs contained voice messages, text messages or photographs intended as communication with an inmate -- and there was no evidence that they did -- the act of providing cell phones to an inmate does not come within the unambiguous terms of the statute. act of providing cell phones does not, in and of itself, violate section 4570, . . . [Spencer] could nevertheless be convicted of conspiring to violate section 4570 if, as the Attorney General asserts, there is substantial evidence that the objective of the conspiracy was not merely to provide cell phones to an inmate but to use the cell phones to communicate with an inmate. If so, the act of throwing the cell phones over the prison fence was merely an overt act in furtherance of that objective. it is reasonable to infer that Washington intended to use the cell phones to communicate with her husband. She contends that because the evidence supports that inference, we must conclude that substantial evidence supports the verdict. that we must view the evidence in the light most favorable to the prosecution and presume in support of the judgment every fact the trier of fact could reasonably infer from the evidence. . . . However, even if the evidence permits this inference as to Washington's intent, this is not sufficient to support the conviction. be substantial evidence that he entered into the agreement with the specific intent of communicating with an inmate, or of assisting Washington in doing so; it is not enough that the evidence supported the inference that Washington acted with that intent. Even viewed in the light most favorable to the prosecution, the evidence shows only that [Spencer] agreed to deliver the cell phones into the prison. It does not show that he had any knowledge as to Washington's reason for doing so or that he had any intent to achieve any objective beyond the mere delivery of the items. Consequently, his conviction for conspiring to violate section 4570 must be reversed. People v. Spencer, supra (emphasis in the original). I wrote about a somewhat similar conviction in an earlier post, though the charge in that case was that a prisoner who had a cell phone possessed “dangerous contraband” in violation of state law. Here, the charge wasn’t that the cell phone itself was contraband; instead, the prosecution had to prove, as the opinion notes, that the cell phone was actually used to “communicate” with an inmate.